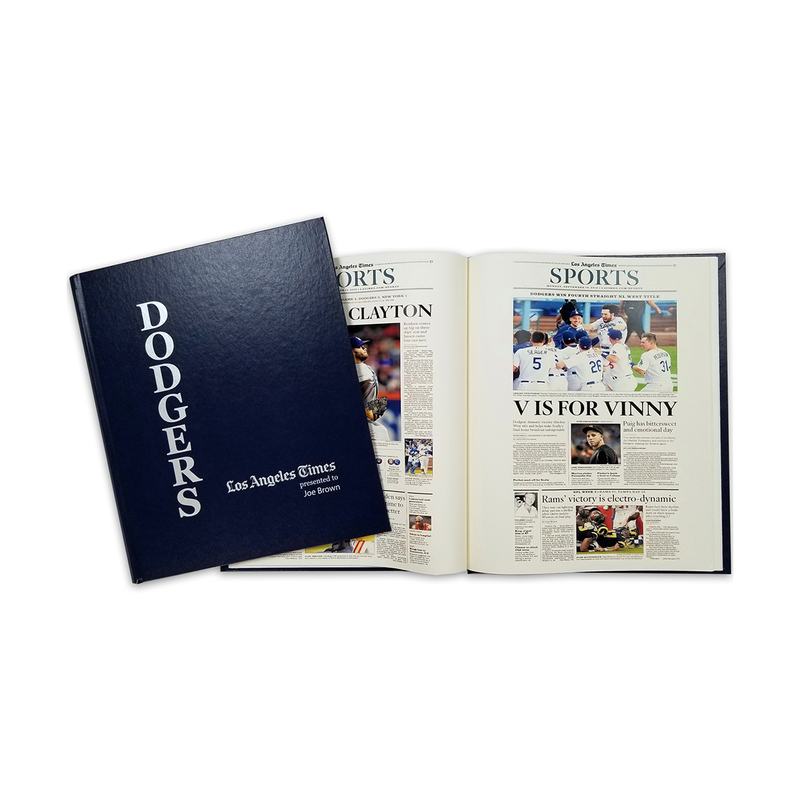 Bring home the history of the Los Angeles Dodgers with this stunning newspaper book, exploding with LA Times original coverage of the team throughout the team's history from its early days in Brooklyn to their incredible 2017 season. 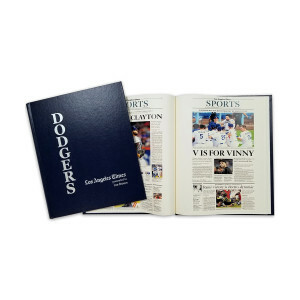 Perfect for the ultimate Dodgers fanatic, this collector's item can be made extra special with customized personalization. Includes a complimentary magnifier! All sales are final for these custom-made products. Offer valid through 5/12/19. No coupon code necessary.